I was recently asked to help build a “Range Slider” Power BI Custom Visual that simply filters a report based on the slider value. Unfortunately “filtering” is not currently supported in the new Power BI Custom Visual SDK, but should be in the next couple of months. The first thing you are going to want to do is create a Power BI report using Power BI Desktop that you can later embed and filter. For this example, we are going to use a very simple table. 1. 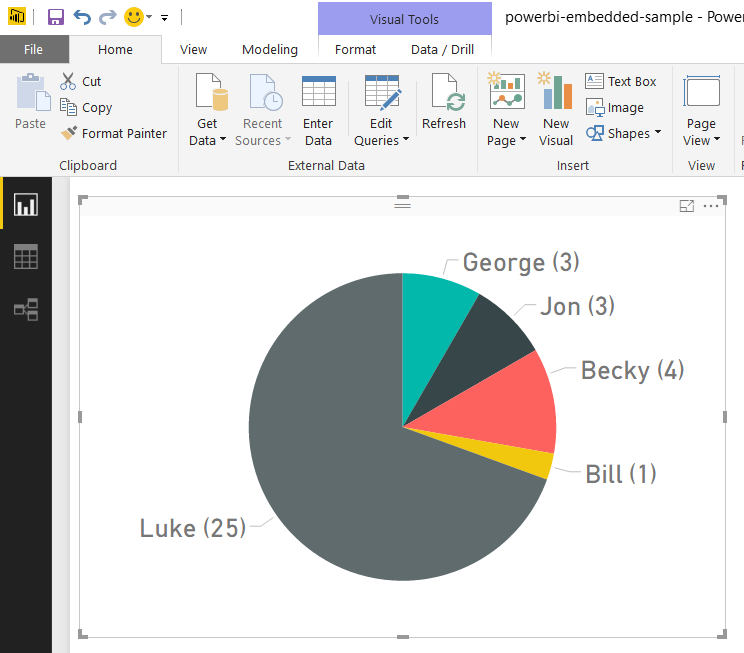 Open Power BI Desktop. Create a table and enter some data. 2. Save the .pbix file for later. The topology of the Power BI Embedded implementation is as follows: Power BI Workspace Collections contain Power BI Workspaces which contain Reports. You create the Workspace Collection on Azure and then use the Node.js CLI to add Workspaces to the Collection and then add Reports to the Workspace. You’ll get the Access Key from the Azure Portal under the Workspace Collection. 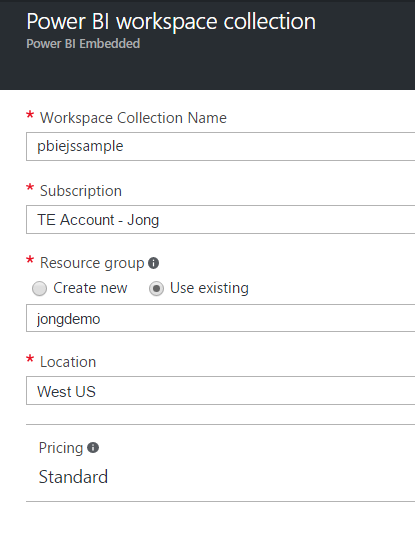 This allows you to create the Workspace Collection without having to use the Azure Portal. Following this tutorial to create the Workspace Collection, get your Access Key and then come back to this post. 1. 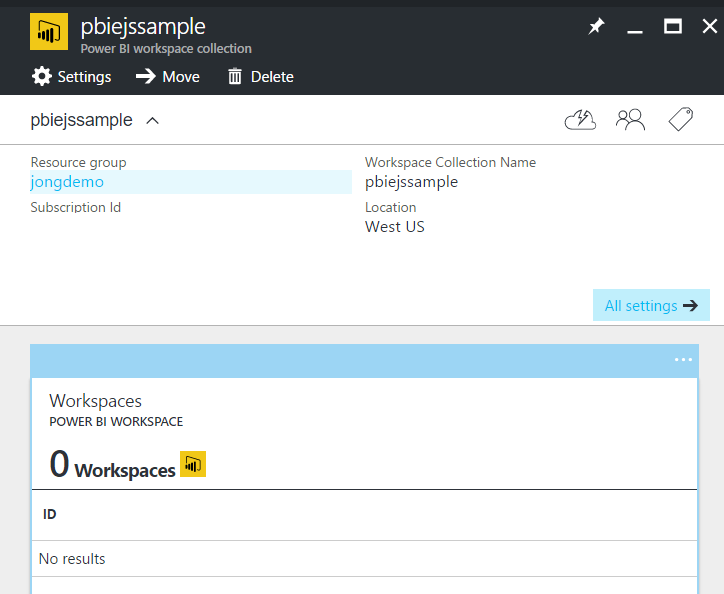 Go to the Azure Portal and create a new Power BI Workspace Collection. 2. Copy your Access Key to Notepad, you’ll need it later. This option allows you to create the Power BI Workspace Collection, but there is currently no way to get the Access Keys via the CLI 2.0. I do not recommend this approach at this time, but it will be the way going forward. I will update this post once that support is added. You just created the Workspace Collection, now we’ll create the Workspaces in that collection. 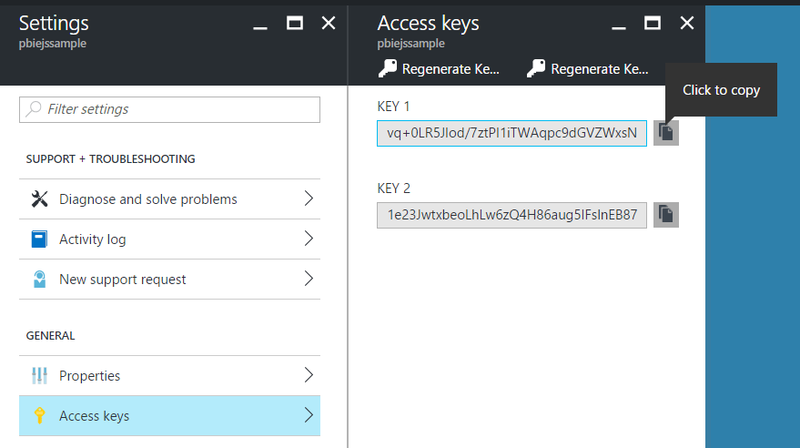 Replace -k with the Access Key for your Workspace Collection you created earlier. You can get that value from the Azure portal. You could also use the get-workspaces command to get the workspace Id. Copy that workspace Id to Notepad. Use the import command to add the report you created earlier to the workspace you just created. You’ll need to pass in collection, accesskey, workspace id, name and the path to the pbix file. Do not confuse Import ID above with the Report ID. They aren’t the same thing. Now that you have the report added to the Workspace, you need to get the report Id. Save that report Id to Notepad. You will need this token to embed a report into an HTML page. In production scenarios you will generate this in real-time after you have authenticated your user. That will output the embed token. Copy it to Notepad. If at any point you get a permission denied or content doesn’t exist error, just rerun the create-embed-token command and use the new one that is created. I think it expires in 20 minutes by default. 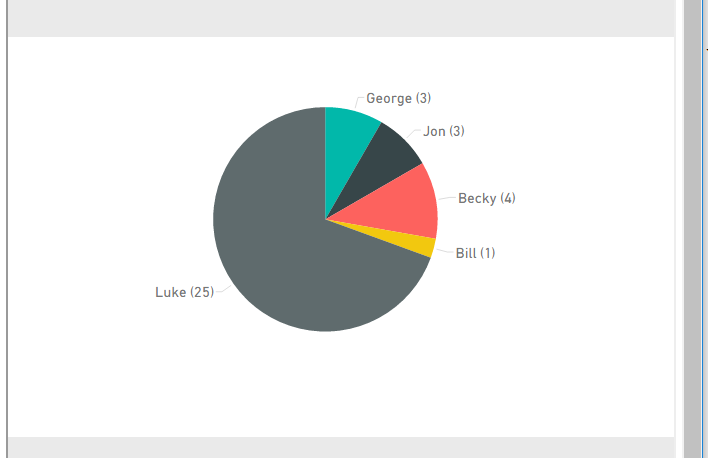 You now have everything from Power BI that you that need to embed your report. Find a good directory on your computer to create the website and install the powerbi-client npm package. Create a Webpage that contains the following code. Replace embedToken value with the embed token you created earlier. Replace reportId value with the report Id you created earlier. The above code won’t work in IE. Please see full example below for a version that works in IE. You referenced the powerbi.min.js file. 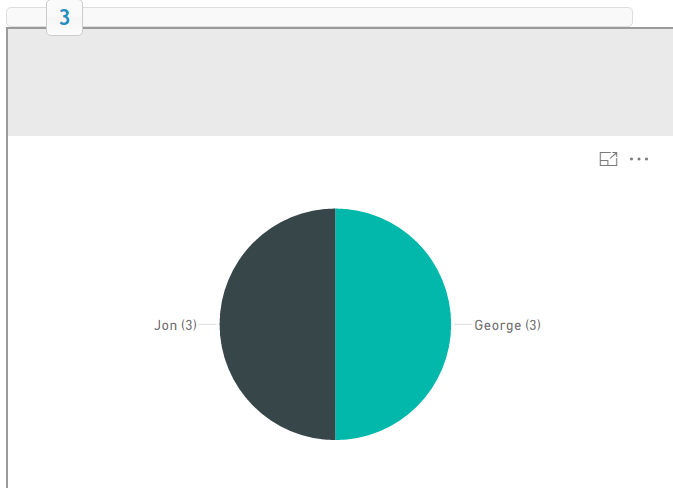 You called powerbi.embed to bind the report to the div. You should now see your report embedded into the webpage. You can use http-server to serve the current folder from localhost. We are now going to filter the report with a jQuery UI Slider control. 2. Reference the jquery and jquery-ui js and the css. 4. Add a new filter method to be called when your filter changes. The important thing to observe here is the table and column values. 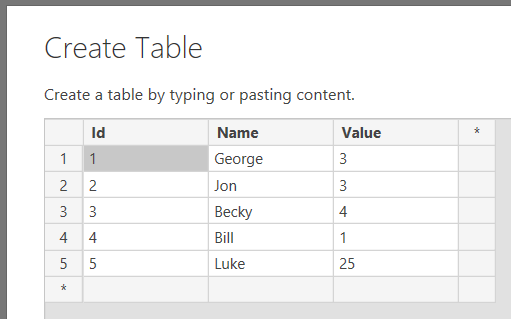 Those are set to match the table and column names you created in Power BI Desktop earlier. The code will construct a filter based on the value passed to it and call the setFilters method on the report. Here’s a full working sample that you should be able to just copy and paste into your application after install the npm packages.